Michael Forbes graduated from the University of Dominguez Hills with honors in the Digital Media program with the Audio Recording Option. He also graduated with honors with a Certificate in Television Arts. 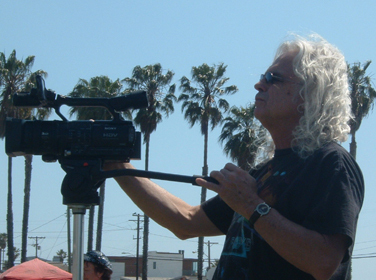 He has shot many sports events, live bands, weddings, depositions, and lectures. He can edit the footage in Final Cut Pro and produce DVDs that will play on any DVD players & DVD drives. He can make Quicktime movies and upload them to youtube.com and make links to his site. He makes all his own audio and video clips for his web sites. Michael can build and maintain a web site for you!